The Art Solidaire project concept was born in 2010. It is the fruit of the attaché of cooperation and French teachers of Dubai. 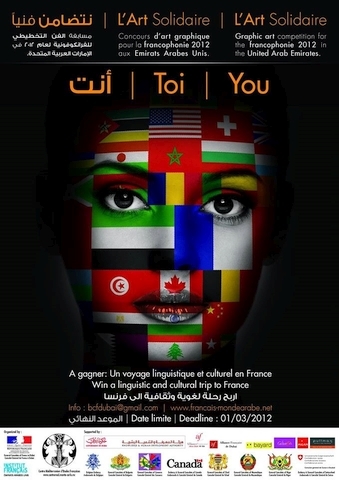 The name of the project was chosen referring to the theme of the francophonie 2011 which was `solidarity in the francophone countries`. The winner of the competition was JooWon Park from Dubai American Academy, for the individual category. The ceremony was held at Art Sawa gallery.